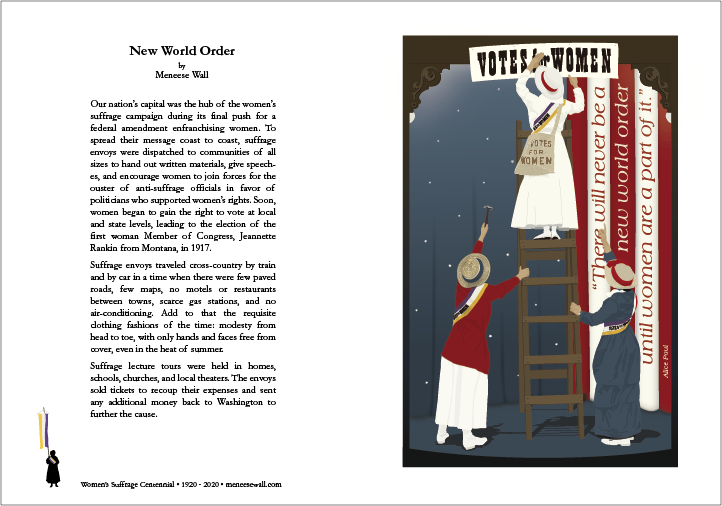 Meneese Wall, a graphic artist and designer based in Santa Fe, New Mexico, has created a series of signed art prints to commemorate and celebrate the upcoming 2020 centennial of the 19th Amendment’s passage. Her prints are a terrific gift idea. Meneese has been reading and studying about the first wave of the women’s rights movement. Her enthusiasm is infectious. IIInspired by historical events, people, quotes and memorabilia from the suffrage movement, Meneese’s graphic illustrations are paired with text that give historical context to her work. To date, Meneese has featured Susan B. Anthony, Alice Paul, and pro-suffrage journals such as The Suffragist and The Woman Voter. Meneese Wall is excited about the upcoming 2020 suffrage centennial celebration. To find out more about Meneese and her work, visit her website. You can email her at meneese@meneesewall.com. Meneese Wall is an example of someone who started out knowing relatively little about the first wave of the women’s rights movement. She started researching and then translated her insights and awareness into art. And her work has been featured in various venues. Meneese loves the spirit of the suffrage campaigning and this shows in her work! 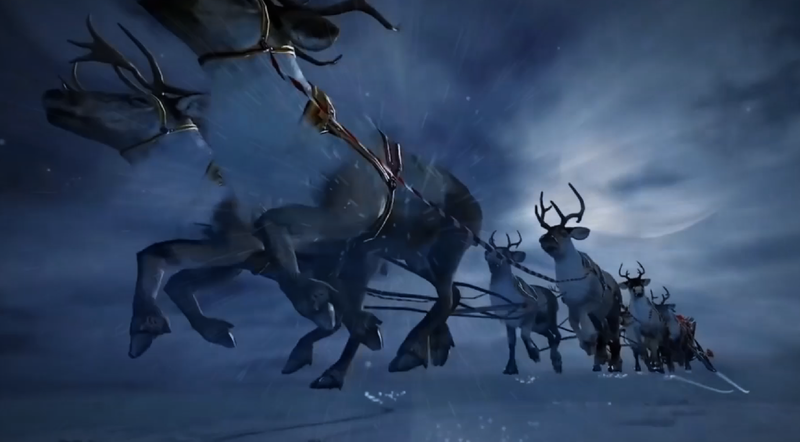 VIDEO: A Wish for Santa: Exhibit of “Spirit of 1776” Wagon! on Vimeo. It isn’t too early to be thinking about reminding Santa about our wish that everyone is planning for the “Spirit of 1776” suffrage wagon to be on display during 2020 at the New York State Museum in Albany, NY. We were thrilled to hear this will happen, and now the planning begins. It’s far enough in the distance to be planning now. The year 2020 has many events and special programs already in the pipeline. Let’s celebrate women’s freedom to vote and remain vigilant about keeping the electoral process free from interference from special interests. 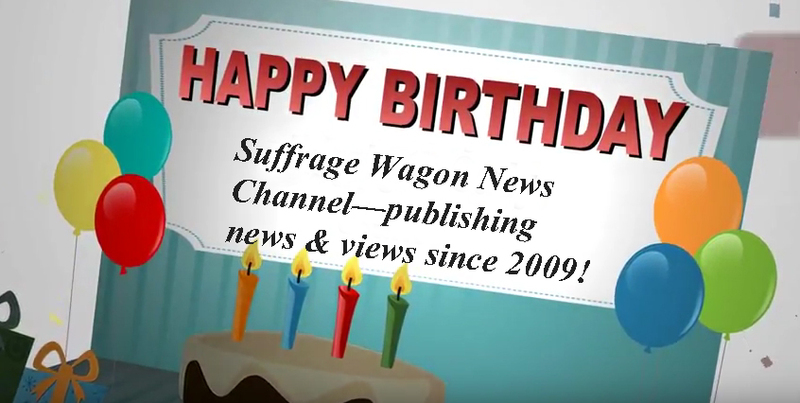 LetsRockTheCradle.com is a public service for the media, policymakers, and others interested in the 2020 national suffrage centennial observance. Don’t forget the US suffrage martyr, Inez Milholland. Menesse Wall has Inez prints, plus a terrific selection of other designs. Stay up to date with InezMilholland.wordpress.com. You bet, I’m thinking of the holidays and am finding it hard to believe it’s December already.